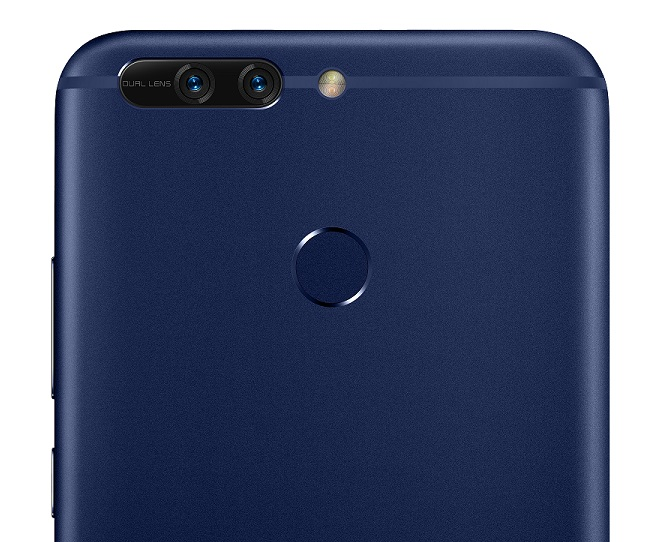 honor Malaysia today introduced its super smartphone, the honor 8 Pro. Delivering maximum performance in a minimalist package, the stunning new device sets the standard in every way – with cutting-edge processing power, long lasting battery life, 5.7-inch Quad HD display and a dual-lens camera all packed into an impossibly thin 6.97mm body. “At honor, we put emphasis on quality, innovation and open collaboration with global partners and the honor 8 Pro aims to deliver just that. It redefines large-screen smartphones by delivering absolute performance for today’s power users in an ultra-thin minimalist design,” said Luke Au, Regional Product Marketing Director, HUAWEI Consumer Business Group. The Kirin 960 chipset features eight processor cores – four high-performance Cortex A73 cores clocked to 2.4GHz and four low-power Cortex A53 cores clocked to 1.8Ghz – that improve single-core and multi-core performance by 10% and 18% respectively. The Mali-G71 includes support for the cutting-edge Vulkan graphics and compute API (application programming interface) and boosts graphic performance up to 400%. honor 8 Pro will run the most demanding games at high frame rates with minimum lag and dropped frames, even in 3D. The new EMUI 5.1 system leverages machine learning to learn from your behavior and habits to minimise lag and ensure applications and files load smoothly. For example, if you tend to open an application at a certain time of the day, the honor 8 Pro will be able to anticipate your needs and pre-load the application. Despite its high performance and slim profile, the honor 8 Pro’s battery provides 2 days of regular use, and almost 1.44 days of heavy use. Its 4000mAh high density (710 Wh/L) battery and advanced power-saving features spell the end of battery anxiety. The Smart Power 5.0 technology helps to maximise battery life by automatically identifying and terminating processes with exceptionally high power consumption, as well as minimising power consumed by background applications. honor 8 Pro’s ultra-thin 6.97mm metal body is a compact cluster of over 1,000 components, a perfect blend of functionality and aesthetics. Its exquisite silhouette is uninterrupted, with all parts, including the dual-lens camera, sitting flush with the body. Whether in navy blue or midnight black, never has a 5.7-inch screen smartphone looked so sleek and stylish. Multimedia and games shine on the honor 8 Pro, thanks to its Quad HD display boasting the highest levels of colour accuracy and detail – with performance nearing the Hollywood cinema standard. The display features a high resolution of 515ppi, 16700K colours and 94.5% coverage of the NTSC color gamut. Professional calibration brings the best out of the display, with color enhancement technology, sharpness enhancement in the display engine and a 2D image detail enhancer. EMUI 5.1 also introduces Highlights, a new feature co-developed with Go Pro that intelligently organises photos by category and automatically generates video stories that are easily customisable – making sharing memories a breeze. Marking honor 8 Pro’s exclusive partnership for the 2017 Mobile Legends South East Asia Cup in Malaysia, Mandy Dai, Senior Marketing Director from Moonton said, “I am honoured to announce this exclusive partnership with honor Malaysia and have the honor 8 Pro as the official gaming phone for the tournament which will be used by professional e-sport gamers. The honor 8 Pro is a device that offers exceptional speed, graphic and detail, and we believe that gamers will take pleasure through its superior user experience.” The honor 8 Pro will be made available in the Malaysia market beginning 11 July at a retail price of RM1,999. vMall, the official licensed e-store for honor and HUAWEI will be the first online platform to offer the honor 8 Pro followed by honor experience stores and display zones beginning 12 July. The first 100 customers who purchase the honor 8 Pro via vMall and share their purchase via a Facebook post will be able to redeem a powerbank worth RM128. Customers who intend to make a direct purchase can visit www.vmall.my.